Once on my way to Mombasa from Nairobi [East Africa] on official tour, I heard about a very strange and mysterious place in Machacos District of Kenya and to satisfy my curiosity I had gone to that place. It was on the outskirts of Nairobi on the way to Mombasa. I enlisted the help of an young fellow at the Gasoline Station and according to his instructions I had gone to that place. The place was very remote in a very thick forest, a very narrow and a steep road going upwards surrounded both sides by huge boulders and trees. There I found a strange thing happening. Already some young African boys who were expecting some amount from the visitors were standing there with water cans for demonstration. On seeing me, a couple of young African boys poured water on the steep road going upwards and the water started flowing upwards in a strange manner. The boys told me about this in Swahili (local language). I gave them some money and they went away smilingly. I took the car and climbed the road for about two to three hundred yards. The road was very steep. At one place I slowly stopped the engine and put the gear in the neutral. With some hesitation, slowly I released the brakes and an amazing thing happened. Instead of going backwards the car started climbing upwards slowly. This was against the principle of gravitation. For about 4 or 5 minutes the car moved upwards then I applied the brakes and got down from the car. I answered “Mahatma, it is true. The more and more doubts you are clarifying lot of doubts and questions are arising with greater speed. Therefore, I request you to clarify my doubts. 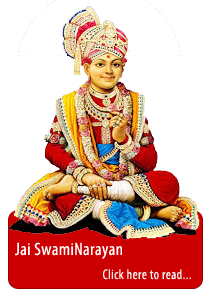 Lot of people say that without the order of Lord Ishwara, even the small ant will not bite you, which means everything is determined by the God. And if that is so, why punya or paap Virtue and Sin are attributed to the human beings. I don’t see any logic in this. Please clarify my doubt. And, I also want to know how does astrology influence the human beings life 100 % without giving any freedom to the human beings?” Maharshi listened to my questions very carefully”, he said. “Lahiri, it is not true that everything is determined or pre-determined by the God. Most of the time, the human beings will take the superficial meaning, but not the inner meaning. Definitely, human beings have their own free will in many of the things, except those which are controlled by the prarabdha Karma. 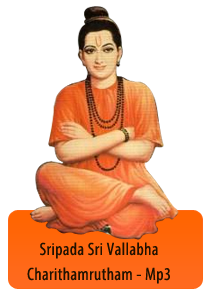 When I say prarabdha Karma, I refer to the negative Prarabdha Karma the wrong doing of your past life. Every human being might have taken births more than millions of times in different forms on this earth. And when he had taken a form of human being, knowingly most of the people were doing the wrong things like hurting the other people and creatures. And this harmful action over the period of many janmas or births accumulates and accordingly the human beings have to pay for their wrong doings. This cannot be changed that is what is Prarabdha Karma. Action and reaction are always equal and opposite. And, the rest of the things, the human beings have free will to change with their sankalpa i.e. intent in a positive way. Once again the human beings are gifted with inner intuition, the inner intelligence and wisdom to know what is right and what is wrong. And this intuition works like a guide, a personal guide. When they do not listen to the inner intuition or the higher self and still they do some misdeeds which cause agony, pain, injury to other creature. Hence this is called as cause and effect. We had to pay for it. Except these Prarabdha Karmas, most of the other things can be changed.The astrology can tell you the potentials and probabilities of certain things to happen in future. The human beings can definitely change or alter these predictions with a strong intent and actions. But, certain things as I told you, are very difficult to change. Astrology can tell you only about the probabilities and potentials. That is the reason most of the time the predictions will not come true. But nevertheless astrology can help you as a guide. Only those people can predict 100 % correctly who have achieved some psychic powers with greater sadhana. The people whose minds are very pure with lot of compassion for the entire human beings and also God’s creation would be in a position to predict the future. An astrologer should have definitely lot of inner intuition. He should be able to hear inner voice and should not be commercial minded and should also be pure hearted. He should also be well versed with the other shastras. Knowing only astrology does not help him to predict the future properly. Maharshi replied, “Dear Lahiri, all these rituals will definitely help in mitigating the negative things partially. They also change the attitude and the tolerance levels of the victims who have come under the influence of malefic planets. Now, you are asking about the science behind these techniques or rituals. As you know, according to the law of inductance which says that the magnetic fields of the people will influence one another and exchange informational energy. The same principle is applicable here also. In addition to this I also told you Wak (वाक् speech) is also a divine magnetism. All your knowledge is stored within the empty spaces of your body cells. This I explained in detail in our previous meeting. Your Sankalpa(intent) should be pure and positive and when you are expressing either verbally or silently creates a very strong positive magnetic field . When you are performing Homas, Yagnas or chanting Mantras repeatedly with full concentration it manifests very positive thought forms which keeps on expanding in the Akash till it gets merged with the divine consciousness. By the law of inductance there will be an exchange of information between human consciousness and the divine consciousness. Two things will happen. First your problems will be either completely or partially mitigated or else your understanding of the problem becomes very positive. Thus giving you an inner confidence in such a way that you would not think that you had a problem. Maharshi replied, “Lahiri ! I had already explained this matter. However, I will once again explain to you. Listen carefully. All the Panchabhootas (five elements) like the earth, water, fire, air and the akash are magnetic in nature. In these five elements the middle one is namely the Agni(fire) is a catalyst. The role of Agni is to transform the matter from one tatva to the other tatva in ascending or descending order. While performing yagna you are using this agni tatva to transform bhoo-tatva into akashik tatva. You will be offering Samidhas and various herbs (bhoo-tatva) into the fire and simultaneously chanting the mantras which are full of pure and positive intent. Ordinarily, when you burn the sticks the matter is converted into energy in the form of smoke, which travels in the sky to a smaller extent. But in the Yagna, when you are chanting mantras and offering Samidhas and various herbs these are converted into divine energy in the form of smoke which travels beyond the clouds and reaches the Sun. As you know, the Sun is the centre of solar system. This smoke is nothing but a very powerful magnetic energy. Once again by the law of inductance, it purifies the negative energy in the Sun and the objective of the Yagna will be manifested. There will be a tremendous change in the climate and it showers in the form of timely rain. The Earth receives this divine energy in the form of rain. All kinds of seeds when they are sowed they will carry the divine energy (Prana). People when they eat such food, their mind becomes Saatvik (pure) in nature. Their Jataragni in Manipuraka Chakra completely gets satisfied. The Manipuraka chakra is the seat of positive and negative emotions. By eating such food, the emotions in Manipuraka Chakra will be positive and harmonious. This is the science and technology behind performing Varuna Yagna”. Then I asked, “Mahatma, I am surprised to know that even the Sun has a negative energy. Kindly elaborate’’. The Maharshi replied, “In the current situation the majority of the human consciousness (thought forms) is very very negative. Again by the law of inductance, these collective negative energies are effecting even the solar system, particularly the Sun. When the Sun is effected this way the other planets around are also effected. As I told you, the thought forms whether positive or negative, are highly effective and influential. These negative thought forms pollute the entire atmosphere. Just before I told you that, the five Tatvas (elements) Pancha bhutas are magnetic in nature. All the thought forms when expressed verbally, the air that is your breath becomes the vehicle. The breath is also magnetic in nature. All your thoughts are embedded in your breath ie., the air. When you speak your inhalation stops. This you can experiment yourself. These highly negative thoughts travel at tremendous speed and effect the other positive magnetic field of second category of human consciousness. To simplify, it is a battle between the positive and the negative thought forms. Hence, the Maharshis are doing severe Penance (Tapasya) and releasing their positive thought forms, and thus, trying to increase the positive energy. This phenomenon was explained by the magnetic master who told you about the harmonic convergence in 1987. Lot of importance has been given to the breath. That is why Yoga has given a lot of importance to Pranayam. In this present Kaliyuga, it is very difficult to control the actions and lot of temptations are foreseen. The least importance is given to Spirituality. The people have ignored the wisdom of the ancients. They have abandoned their ‘Swadharma’ and embraced ‘Para dharma’. This wisdom of our ancients was jubiously destroyed by the invaders. These invaders thrust upon us their Dharma forcibly. Even the present rulers of India have completely ignored Swadharma and adopted Para dharma. This Para dharma has influenced the people to become more selfish, greedy and physically, mentally imbalanced. That is the reason people are falling sick physically or mentally in great numbers. The ancient Bharat known for its compassion and love is replaced with cruelty and hatred. The virtuous people are suffering more and more. But the good days have come as the Maharshis and the collective positive human consciousness is trying to establish Swadharma. That is why you are seeing a lot of awareness among the Nation about the importance of YOGA and PRANAYAMA. In spiritual healing, breath plays an important role in bringing out the healing. I remind you, in the olden days, in your childhood the elders used to give out positive affirmations, chanting mantras and blowing their breath at injured part. Thus healing used to take place in a very short time. They were using lot of other small techniques to take-out the negative energy which is in the form of sickness. All the Chakras have clockwise and anticlockwise movements. In anti-clockwise movement they throw out the negative energies. And in the clockwise movements they recharge the Chakras. People fall sick when the harmonious movements of these Chakras become unstable.Common salt has the property of absorbing these negative energies. Remember your mother used to take fist full of common salt and then in anti-clockwise direction three times make a circle from your head to toes and throw away the salt. The science behind the kriya I explained just now she was trying to balance your Chakras. 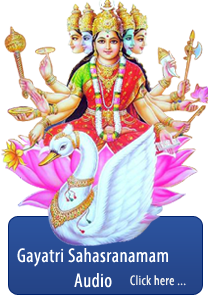 “Lahiri, you have also given spiritual healing to lot of people with high success rate. If you want to be a balanced human being you need to have Indriya Nigraha. (control of your 5 senses). You need to control your mind first. And foremost PRANAYAM is the only way to control the mind. The mind is the main culprit in encouraging you to fall a prey to various temptations. I urge you to think deeply about all these aspects to have more understanding. But for now, I will take leave of you and slowly Maharshi disappeared. After few minutes, I came out of this magic spell and continued my journey onwards.